DA Roofing has been providing quality roofing systems in the Sacramento, Placer and El Dorado Counties for over 30 years. Whether we are repairing a leaky roof, estimating a storm damage roof casualty or installing a roof for new construction, each roofing project we earn is fully protected by our workmanship and manufacturers' warranties. DA Roofing is a licensed, bonded and insured roofing company who specializes in roof repairs and new roof installations. We are members of the Northern California Better Business Bureau and we use only quality products by such roofing manufacturers as Elk, GAF, Owens Corning, Certainteed and many more. At DA Roofing we offer fast, effective emergency roofing repairs for wind driven rains and any other storm damage occurrence. In an emergency, you want to look for solutions that can be implemented quickly. Roofing emergencies are a perfect example. The idea that your shingles have been breached, whether by high winds, fallen tree limbs, or overdo replacement, is enough to make any homeowner frantic. After all, water can ruin many types of building materials, including insulation, drywall, and flooring. DA Roofing is your emergency roofing repair resource. DA Roofing is operated by a licensed contractor that can determine what kind of roof repairs your home, or building may need. We are experienced in all types of roof repairs from; water marks on your ceiling, small roof leaks, larger roof leaks, broken tiles, missing shingles and shake, missing roof tile, or out of place and missing composition roof shingles, All types of metal roofing leaks, we do most roofing types of repairs either torn, or missing, etc. Give us a call, we can fix your emergency. The life of your roof is one of those things that can be extended. At times, it is better to just replace the whole thing, but if replacing your roof is not an option for the moment, repairing your roof may be a good option for your home. A roof repair can extend your roof life and keep water from seeping in and doing much more expensive structural damage. Roof repair offers a wide range of possibilities and can complement almost any budget. Sometimes, a roof repair can last years, saving you thousands of dollars. With DA Roofing, you can expect only quality materials and quality craftsmanship. We are careful to inspect all previous work and give our recommendations based on experience and knowledge of how roofing works. We are one of the few roofing contractors interested in doing repair work. Most roofing contractors need to sell product which means selling new roofs. At DA Roofing, we will provide you with an honest answer about what needs to be done. We provide roof replacements and repairs that are complete by a certified, experienced team of roofers. If you are experiencing problems with your roof, a thorough inspection, along with our roofing services, will give you the peace of mind of knowing that your roof is prepared to withstand any type of weather. Replacing your roof is one of the most significant home improvement projects you will make in your home. In addition to finding a roofing professional you can trust, you also need to decide whether or not you want the new roof to be the same type as the old. A new roof will add both value and exterior appeal to your home. Your roof is also your homes first line of defense against the elements. Proper roof replacement along with timely maintenance and repair are key to protecting your home. At DA Roofing, we will provide you with the right roofing option to best defend your home against the elements and add beauty to your home. We are committed to long lasting sustainable products and quality installation. 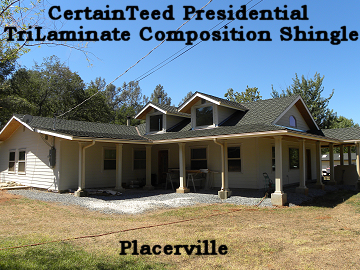 If you are in Sacramento, Placer or El Dorado County look no further. DA Roofing is committed to improving the quality of your home with a quality roof replacement. Please contact us today to schedule your roof replacement estimate. Dry rot is one of the roof repairs that should be addressed as soon as possible. Improper roof installation and roof damage are some of the main contributors to roof leaks that promote dry rot. The lumber under the leaky roof tile, shake, shingles etc. becomes wet and the fungal spores will start to thrive on the wet plywood, and wet roofing lumber used to make the frame of your roof. Dry rot fungus is easy to identify with fungal strands and discolored timber. The wood and roof also may start to show mushroom looking fungus that also carries a very distinct smell. Dry rot gets into your home by infesting wooden structure such as posts, beams, kitchen and bathroom floors and walls, deck framing, deck boards, eaves, roofs, foundations, sill plates, cripple walls. Dry rot quickly causes expensive structural damage. Our professionals at DA Roofing will find and repair any dry rot found inside or outside your home. We replace and repair siding and paint affected areas after the repairs are made. 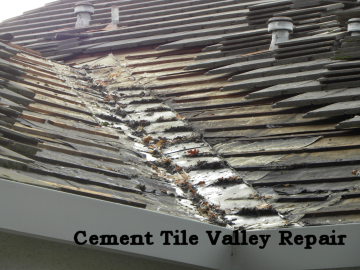 Please contact DA Roofing at 916-715-1032 to schedule your roof inspection. Need a roof inspection? DA Roofing is licensed, insured, and is a highly trained roof inspection service. We will inspect the outside, attic, and inside walls of the home. DA Roofing will check; shingles, tiles, felt, membranes, and flashings etc. At the end of the inspection process the inspection report will be issued. DA Roofing will be happy to do a roof certification for whatever your need may be. We will also do a roof certification for submission to any title company. When do I get a roof certification? When initial inspection is performed DA Roofing will then determine if the roof requires a repair or if it can be certified by our inspector for 2-5 years. If the roof requires repairs, then after the repairs are completed, DA Roofing will then issue the roof certification. Don't let a small or unnoticeable leak become an expensive and disastrous problem. A maintenance program will ensure your confidence in the roofing system. Below are other benefits of a maintenance program for your roof system. Our experienced inspectors will perform an inspection of your roof and submit repair recommendations for your roof. Below you will find a summary of areas that are included in our inspection. Avoid potential emergency situations. Call DA Roofing today to schedule a maintenance checkup. DA Roofing is proud to offer additional services such as gutter and downspout installation and repair, skylights and solar tubes, attic ventilation, attic installation and more. Please click here to view the other services we are proud to offer. If you do not see what you are looking for, just give us a call and we will be happy to assist you. You can contact DA Roofing at 916-715-1032. Thank you for your interest in DA Roofing. We look forward to providing your roofing services in the near future. 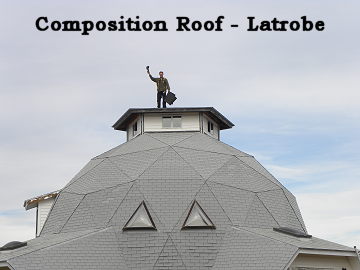 © 2015-18 DA ROOFING. All rights reserved. All photos are from DA Roofing Jobs. Site designed by Brymels & Associates.